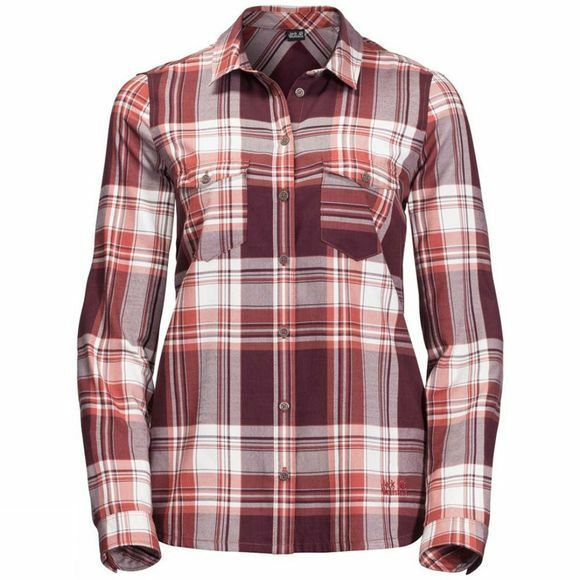 The Womens Stalheim Shirt from Jack Wolfskin is made of a Light flannel fabric that feels pleasantly soft on the skIn. The fabric is also robust, easy-care and breathable. The Stalheim makes a great wardrobe staple for travel or everyday wear. With two practical chest pockets for important little items.